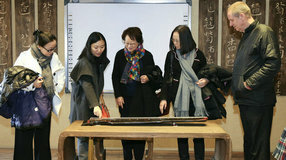 The third meeting of the Advisory Committee of International Training Center for Intangible Cultural Heritage in the Asia-Pacific region under the auspices of UNESCO (CRIHAP) was held in Beijing from Jan 27-28, 2016. 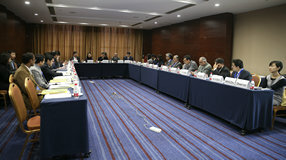 Hosted by CRIHAP, Workshop on Implementation of the 2003 Convention for the Safeguarding of Intangible Cultural Heritage for Pakistan was organized in Beijing from December 18 to 23, 2015. The Workshop on the Ratification and Implementation of the 2003 Convention in the Pacific was co-organized by International Training Centre for Intangible Cultural Heritage in the Asia-Pacific Region under the auspices of UNESCO (CRIHAP) and China Cultural Centre in Sydney from Nov 2 to 6 in Sydney, Australia. 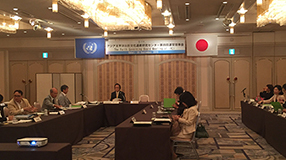 The seventh session of the Governing Board of ICHCAP was held on Oct 27 in Seoul, South Korea. 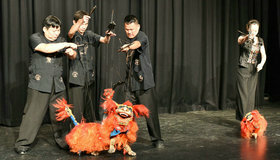 A cultural exchange activity of Fujian puppetry was held by Chinese National Academy of Arts in Melbourne and Sydney, Australia from October 25 to November 4, 2015. The 3rd Annual Coordination Meeting of Category 2 Centres Active in the Field of Intangible Cultural Heritage was held in Guiyang, Guizhou, from 6 to 8 July 2015. 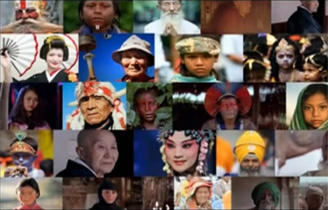 With an aim to support the integration of ICH studies in university courses in the Asia-Pacific Region, UNESCO will organize a regional symposium in Bangkok, Thailand, in November 2015.